One of the first grasses I bought was from a mail order catalogue. I chose it because of the name - Calamagrottis. It sits in a tidy clump in Stephen's border, and the seed heads wave gently in the wind. I think it is getting a bit big for its position, but I don't want to remove it. Calamagrostis has proved a success in my garden - starting from spring, and lasting well into winter. Its feathery seed heads are vertical, and I don't trim them until I absolutely have to (usually in late winter). If I forget the trim it doesn't seem to matter, either. 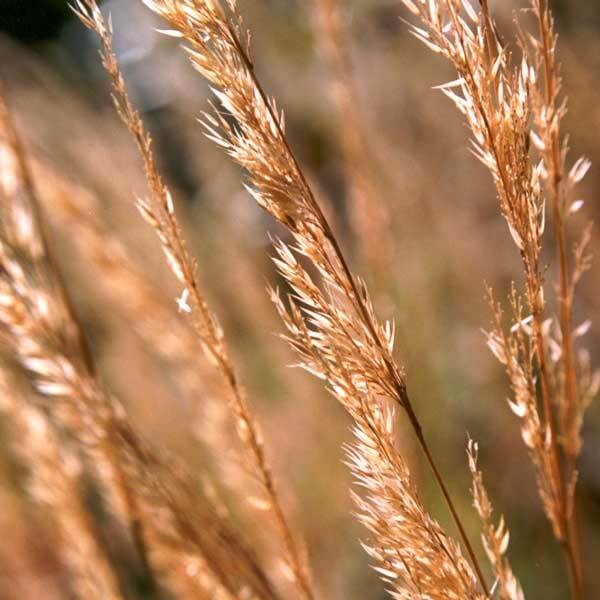 I think the variety of Calamagrostis I grow is Karl Foerster - it's mentioned in my Gardening With Grasses book.